October 9 is the last day in many states to register to vote in the 2018 midterm elections. On Tuesday morning, Rihanna posted a call for her 65 million Instagram followers to ensure their registration is up to date. "You have 1 job today and that is to properly register to vote," Rihanna wrote. "I don't care what responsibilities you have today, there's no greater responsibility than being in control of your future and the future starts NOW!!!" Rihanna ends the post asking her followers to visit Vote.org "to register and to double and triple check that you are properly registered!" 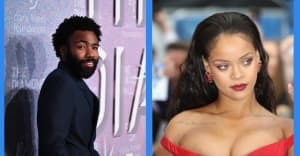 Rihanna's Instagram post comes the day after the usually politics-averse artist Taylor Swift endorsed two Democrats in the midterm elections. Swift's post led to a huge spike in voter registrations – 65,000 in 24 hours – according to a Vote.org representative.